If you are reading this article, you’re either thinking about hiring a website design firm or already have started down the road of a website design project. Creating a website involves more than technical acumen and design skills. A successful website requires telling the story of your business in a way that wins the attention and, ultimately, the trust of your visitor. Here is the website design process that we’ve adapted over the last 15 years based on industry best practices and practical experience. A successful website is a business asset. It has a measurable, intrinsic value as a source of new revenue, a vehicle for customer retention and even a tool for employee engagement. It is often the first place that prospects, customers, job candidates, investors, employees, vendors, media and others go to get information, learn about your products/services, initiate conversations and conduct business. Because your website can be much more than an online calling card, our website design process is focused on using the one piece of Web real estate that you truly control to your best advantage. 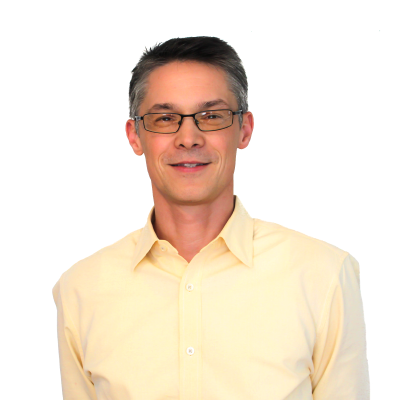 Since the mid-90’s, our team has built hundreds of websites. We’ve won awards, received applause, taken criticism and made mistakes. We have attended conferences, collaborated with colleagues, and engaged in heated arguments about the best techniques or tools. We have rolled all of this hard-won knowledge into our process for our website design services. And we continue to refine our process through internal and client debriefing meetings after each project. 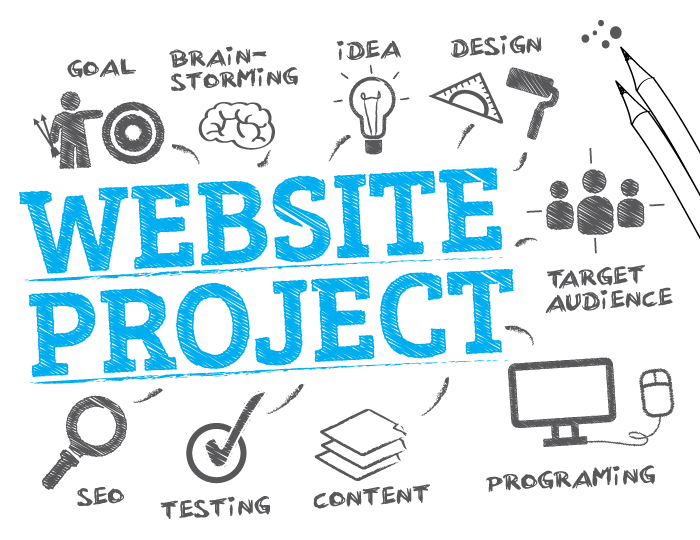 A website project touches almost every aspect of your company. It’s important to have a clear vision and objectives established by the leadership team at the beginning. This clarity will support decisions made throughout the project including design, content and functionality. Without objectives, it’s easy to get distracted by trends or unnecessary elements that increase time and budget without adding value. We tell our clients to expect a website design process to take between 4-6 months. Rushing a website project will lead to poor decisions or future rework. If there’s a business need to meet a specific date, we will plan a phased roll-out. If you’ve waited for years to redesign your website, another couple of months will not likely impact your business. Assumptions are often the hardest things to ferret out and bring into the open. As the Web has evolved, it’s become easy to use and easy to deploy new technologies. As stated earlier, a website is more than just text and images. It’s people and communications. One of the tools we use to reduce the likelihood of the unexpected is a Risk Analysis tool. It helps to define and manage potential issues that may arise over the course of the project. Your website is the face of your company. To be a success, it needs buy-in from the top to provide the vision & mission. As a project evolves, the vision for it will change. If the website project is handed off to an internal or external team without regular communication, it will result in an outcome that does not meet expectations. Our process is designed for bi-weekly progress meetings to continue to align expectations with the work being delivered. One of the reasons we suggest a 4-6 month development process is to allow time for user testing. We hold an internal review with the development team, a 2-week beta period to allow our client to conduct their reviews and, in some cases, we employ crowdsourced user testing to receive feedback from professional website testers. If you plan to use a web design agency, be sure to ask how they handle these common challenges. Less mature agencies will make assumptions and lack the experience or processes needed to avoid these pitfalls. Let’s take a closer look at each of these elements of the process below. The Research and Discovery phase allows our team to thoroughly understand your business, your business goals, your customers and their expectations and behaviour, and how your website factors into all of it. During this phase, we also assess the competitive landscape to establish context and benchmarks for how your site should function and look for opportunities to differentiate. This stage provides the foundation for moving forward with the right plans for the design and development of the new website. In this phase, content is planned around target audiences, the information architecture (sitemap and navigation) is defined, key messages are identified, and calls-to-action are established. Because structure, content and design influence each other, we aim to have 80% of the content complete before moving to the design phase. In this phase, we use the strategy, audience research and content developed previously to create a design that matches the corporate branding, fulfills the business objectives and provides a layout that will support future growth. We employ an iterative design process that allows for the refinement of your vision into a final product. This process starts with creating a style tile. This is a lightweight design tool that communicates the essence of the visual brand for the website. From there, we create wireframes of the primary page layouts. These are then turned into design mocks where your content is combined with the design to produce finished, mobile-responsive pages. If you're not familiar with style tiles, Samantha Warren has a great talk from An Event Apart on the topic. Samantha explains how she uses style tiles in projects and how it has helped her clients by reducing risk and keeping her projects moving. Even small projects will benefit from this simple design tool. Faster Design Decisions with Style Tiles by Samantha Warren – An Event Apart Video from Jeffrey Zeldman on Vimeo. During the Development phase, functionality such as forms, blogs, secured pages and custom programming is implemented. While we try to foresee potential implementation issues, the continuous development process supports the inevitable changes that occur as the website design evolves. This phase ensures that the website is production ready. We have built a 40-point checklist to ensure that new websites are thoroughly tested for speed, search optimization, spelling errors, broken links, cross-browser support (Firefox, Chrome, Safari, Internet Explorer 9+) and mobile device support (iPhone, Android and tablets). Any errors or bugs that arise from this testing will be fixed prior to client review. After our internal QA, we provide 2 weeks for the client beta test and final edit requests prior to the scheduled launch date. The launch process includes DNS (domain name services) migration support, establishing redirects for any old pages to ensure that existing links and search indexes do not get lost in the process. 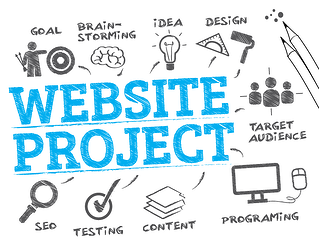 The above process lays a strong foundation for a website design project. It alone is not sufficient to ensure a successful outcome. Within each of these phases, we have built tools, checklists and job aids to ensure that our team and our clients successfully complete the 4-6 month long journey to launching the new site. Lastly, plan for change. We have experienced enough website projects to know that change is part of the process. Your vision for your website will evolve, ideas that sounded good on paper won’t work well online, things will break. You can plan for and accommodate this natural part of the process by building flexibility into your plan and budget. Whether you do-it-yourself or hire an agency, there are some things that you can do to reduce the friction and costs of a website redesign process. Every website project requires the specialized skills that these roles provide. While you can build a website with a smaller team, they will need to take into consideration all of these roles. For this reason, most businesses choose to partner with an agency that can provide highly skilled specialists to maximize the value of this corporate asset. Pricing is the most common question we receive from prospective clients. The costs of a modern website design are based on the talent and skills needed to implement your requirements. The more complex your design needs, the number of pages, extra functionality and higher project management requirements will drive up costs. However, if the website returns 20-100x, it’s a smart investment. If you hire a web design company to build a corporate website with a custom, mobile-friendly design, 15-20 pages, a blog and contact form, the price may start around $10,000. 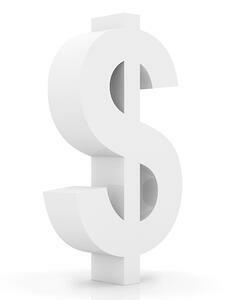 While it is possible to build an inexpensive website, the adage “you get what you pay for” must be accepted. If you expect your website to be more than an online brochure, be prepared to make an investment. We always recommend that our clients directly manage the relationship with a hosting provider. We are continually surprised by how many agencies insert themselves as middlemen. This arrangement made sense 10 years ago when you required a degree in computer science to launch a website. That's no longer the case and companies are wise to treat their hosting provider as an asset to be managed. If you are looking for a new provider, we recommend selecting a hosting provider that offers virtual private server plans (aka, private cloud servers). This ensures both adequate resources, bandwidth and improved security (no data resides on shared drives). With a low-cost provider, you sacrifice performance and peace of mind. Wondering what it's like to go through a website redesign project? Read our case study and detailed project breakdown including an example of a style tile for CharlotteWorks.com. With over 15 years of experience building websites, Knowmad Digital Marketing has developed a proven process for designing websites that grow business. Learn more about how we can help you by downloading a copy of our Website Redesign Handbook or scheduling a complimentary website consultation.